Click here to see a list funding resources. The community projects carried out as part of the Chicago Community Climate Action Toolkit—in Forest Glen, South Chicago, Pilsen, and Bronzeville—were funded and supported through a variety of sources. Project budgets ranged from $8,000 to $17,000. 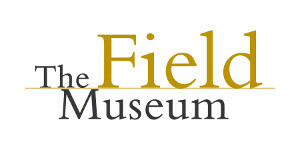 The vast majority of the funds were provided through a grant from Boeing to The Field Museum, which included budget lines for community project stipends. Pilsen partners enlisted significant help in the garden from seasoned gardeners who live in the neighborhood. They also recruited a lot of local volunteers to help clean up the vacant lot and then plant the garden—including residents who live close to the garden. Forest Glen partners had a strong volunteer base of parents and friends of the Boy Scouts and Girl Scouts, who helped plant the two gardens and install the bat boxes and rain barrels. Pilsen partners collaborated with Simone’s, a local bar, to hold a fundraiser. Simone’s donated 40% of the proceeds from one night to the garden. Bronzeville partners used funds from another grant to construct a mosaic art piece in the community garden. Forest Glen partners leveraged community connections to receive discounts on materials, including plants and rain barrels. For the South Chicago project, we combined Field Museum funds with funds from the South Chicago Retrofit Project, a City-funded initiative being run by Claretian Associates that included a budget line for seed grants to support community participation. For the Pilsen vacant lot garden project, we consulted with well-known environmental partners such as the Chicago Conservation Corps, Delta Institute, and NeighborSpace to figure out how to best deal with contaminated soil. We also worked with a few private firms that provided consulting services on contaminated soil and garden design, at a very reasonable cost. Offers rebates to Chicago residents on rain barrels, compost bins, native plants, and trees. Grants for a variety of environmental projects, addressing topics from water quality to environmental education to small business technology. The EPA also offers a guidebook for funding environmental protection initiatives. And a guide to funding stormwater management projects using green infrastructure. Grants, rebates, and technical assistance to help communities address stormwater, brownfields, waste, and other environmental issues. Information and financial assistance for community development and sustainability efforts, including the Low Income Home Energy Assistance Program (LIHEAP). Low-interest loans for businesses, non-profits, and local governments to purchase or install energy-efficient or renewable energy equipment. Partnership between ArcelorMittal, the EPA, the U.S. Forest Service and other agencies, offering grants for projects that restore stream, wetland, and coastal habitats in the Great Lakes basin. Searchable database of federal grants in many categories, including several that could connect to climate action projects. These include energy, environment, food, health, and natural resources. Similar to Grants.gov, a searchable database of financial and nonfinancial federal programs offering a range of resources related to climate action. National database of information and available financial incentives related to renewable energy, with state-specific sections. Searchable database of grants for both nonprofit and for-profit endeavors, with an environmental section. Links to public and private funding sources for a wide range of environmental projects (not limited to those directly related to the lakes). Grants and other assistance for work in land conservation and artistic vitality in South Carolina and the Chicago region. They focus particularly on ecological restoration and stewardship training in the Calumet area. Chicago-based foundation that offers grants to advance work around education, economic development, and the environment – including the Vital Lands Illinois grant for land preservation. CCT’s funding categories include sustainability and environmental and natural resources, among many others – and they offer a newsletter to keep you up-to-date on grants in your area of interest. “Meal by Meal” seed grants for individuals or organizations to promote cultural and biological diversity through programs that address connections between food, culture, and the arts. National nonprofit funder of renewable energy projects. They get money for individuals and corporations who want to offset their carbon usage and spend it on solar, wind, and biogas projects, frequently on family farms. In Cook County they recently retrofitted a landfill for methane capture. Through their Local Technical Assistance (LTA) program, CMAP staff help communities implement the CMAP GOTO2040 regional plan, which includes local food systems and sustainable land, water, and energy use. Grants for schools to start gardens where students can learn about food and interact with nature. Funding for nonprofit organizations to do different kinds of community work, including environmental sustainability. Walmart offers grants on the national and state levels, but their local-level Facility Giving Programs might be the best fit for a community climate action project.